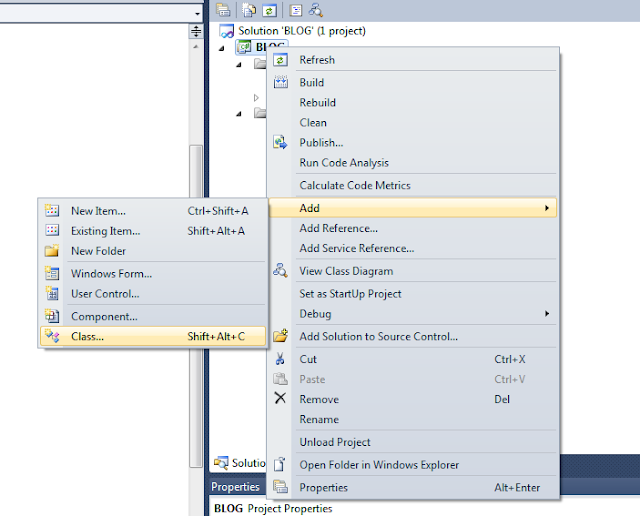 Prerequisite - no knowledge about Acumatica platform whatsoever :), common sense and C# as a newbee. First of all I would create a Generic Inquiry in Acumatica to get our data ready. Please note that in order to get data without timeout errors, it must be arranged in batches. Due to the fact that Acumatica does not handle Rowcount in GI's well enough, and we can't relay on it, so we would need to arrange our data in a table properly BY OURSELVES. I tried few scenarios and it looks like getting data in batches of 1000 lines works the best way. WEB service does not die out and process is not getting interrupted. So, step by step now. 1. Please create a GI (Generic Inquiry) first. 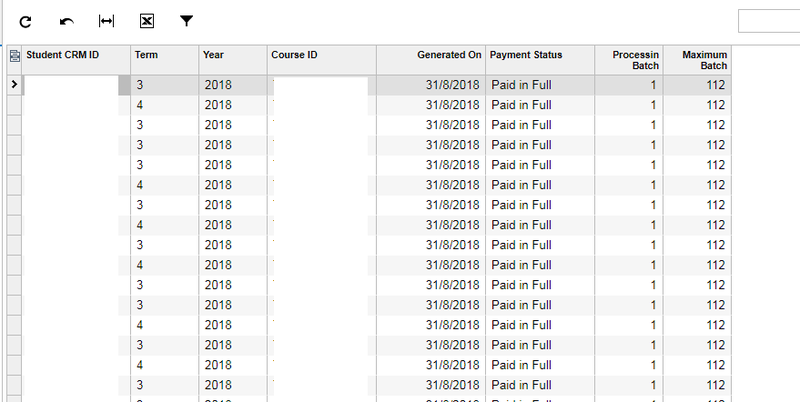 Please take note, I have added two special columns, Processing Batch and Maximum Batch Number. This is to organize WEB service better, later you will see why do we need these two. In short - it will minimize server calls and facilitate uninterrupted data flow. a) Data in the GI must be sorted by Processing Batch. In order to appear in the orderly manner for export. This is important! 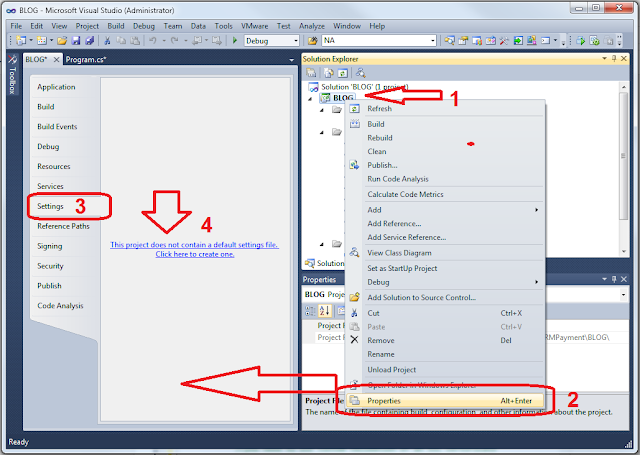 c) create underlying View or Table in the database to reflect Processing Batch and Maximum Batch numbers correctly. Correctly means have a Primary Key, don't make table too wide to facilitate speed of data extraction. Processing Batch - is a number (int), representing a chunk of lines, by 1000 lines each. Maximum Batch - is the last Processing Batch number (int). Note: "Maximum Batch" number is the same for all rows, while "Processing Batch" number is changing for every thousand of rows. Again, you will see later, why we need these numbers to be IN an SQL TABLE itself. Just accept it for now, ok.
3. Give that GI Access rights in Acumatica. 5. 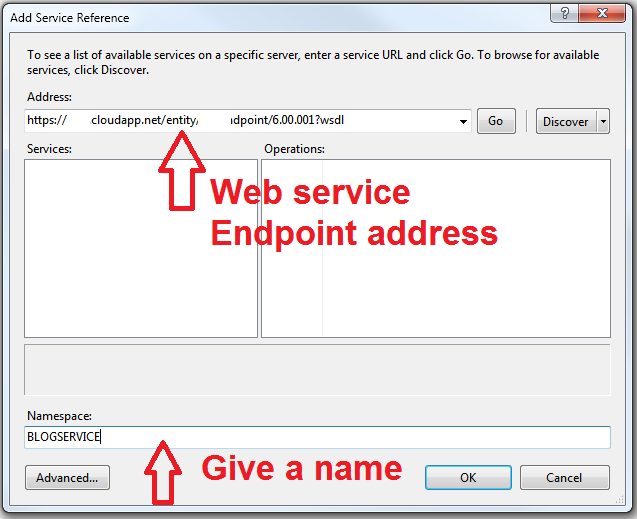 Click VIEW ENDPOINT SERVICE button to get a link to the web service. Project type C# Console, give it a name, I called it BLOG. 7. In order to connect to your web service via https we will need to add some code to the project. //(for example, if the website uses a self-signed certificate). //For simplicity, this callback always returns true. You may be prompted for a certificate mismatch, just accept it. 14. Please note every time we call web service, we know what will be the next batch from the processBatchNbr variable, which we set once we retrieved the first record. Within a batch of records we follow based on the BatchNbr field condition. We do not do any calls to the web service which are redundant or unnecessary. 15. 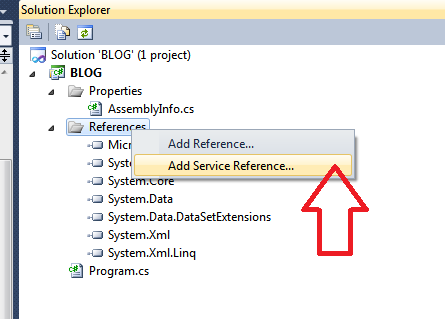 In order for WEB service to login correctly we have to enable cookies in the project config file. We should do it manually. 16. Build the project, get BLOG.exe file at the bin/Debug folder and run it. Acumatica Notification. How to Pass Empty Field Condition. Today will be a short one. 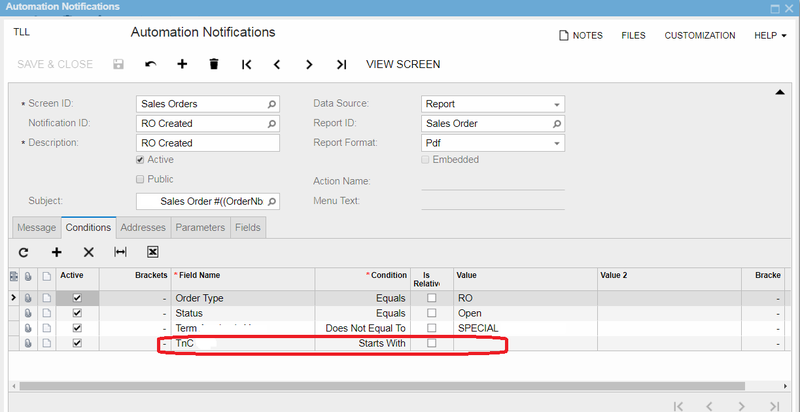 Just realized Acumatica is not very good at handling conditions at Notifications screen. When you need to Notify someone you create Automation Notification with the exact condition of when to do it. Potentially, there could be a case when you wish to call a notification ONLY when certain field is Empty. So, how? It is empty, does not mean NULL, because field may be not nullable, so IsNull will not work. How? ='' Does not work..... Any other ideas? After 30 mins of various tries found a solution. Start With in the Condition column, AND we just put ONE single SPACE into Value field. Need an Acumatica Developer in Singapore. Please send me an email (you should know it) or just reply here with the request. Today I have faced an issue for one of my clients when tried to publish the customization. I was trying to put the server in the Maintenance Mode. 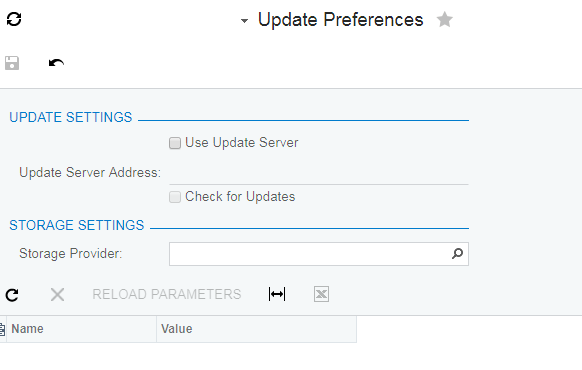 As you aware, there is an option in Acumatica to do the auto update. 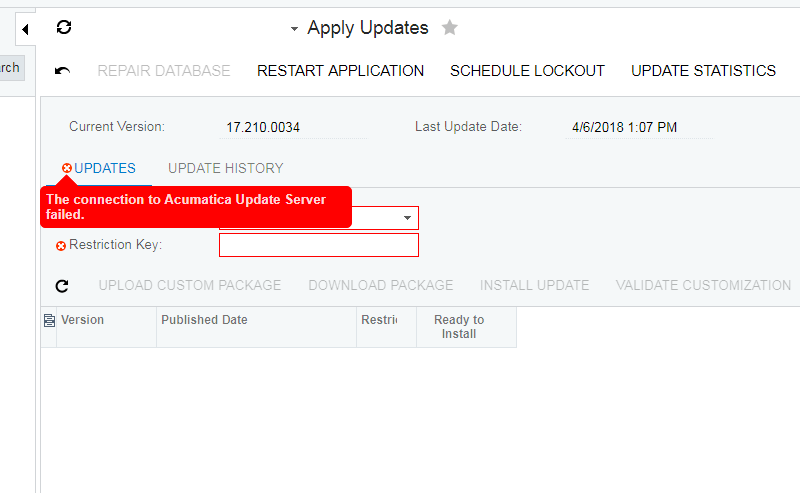 EVERY TIME YOU OPEN THE SCREEN IT GOES TO http://update.acumatica.com JUST TO VERIFY THE SERVER IS ON. No more error, just a warning and no delays.